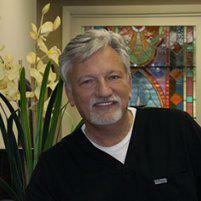 From his practice, Smiles of Atlanta in Sandy Springs, Georgia, Dr. Ed Trizzino provides expert custom veneers. Veneers are a great way to improve the appearance of your smile, typically in only two appointments. Dr. Trizzino serves patients from throughout Northern Atlanta, Georgia, including the communities of Sandy Springs, Dunwoody, Brookhaven, Roswell, Alpharetta, Norcross, and Tucker. If you want a bright, healthy smile, call or book an appointment online today. Veneers are made of thin layers of porcelain, which can be tinted to match your natural teeth to provide an attractive, natural appearance. Veneers are stain-resistant and with proper care, should last for many years. You don’t need to avoid any foods or change any habits after veneers are installed. It’s still important to practice good oral hygiene, like daily brushing, flossing, and regular dental visits. How do Lumineers differ from traditional dental veneers? The primary difference between veneers and Lumineers is that Lumineers are less invasive to install than veneers. Dr. Trizzino doesn’t need to remove any tooth enamel before fitting Lumineers. Although Lumineers are thinner than traditional veneers, they are still strong and durable. Chairside veneers, also called composite veneers, are an even less invasive method of correcting your smile. Chairside veneers are made by Dr. Trizzino, using composite resin, while you are in the chair. This treatment is usually completed in just one visit. Dr. Trizzino sculpts the composite directly onto your teeth for a truly customized approach to veneers. Chairside veneers though require less of an initial investment they usually have a shorter life expectancy then porcelain or Lumineers. More serious crowding or sizing issues are better addressed with traditional porcelain veneers or Lumineers. How are veneers and Lumineers applied? Both traditional veneers and Lumineers are typically installed over two appointments. For traditional veneers, Dr. Trizzino removes a small layer of tooth enamel to make room for the veneers. Then, for both porcelain veneers and Lumineers, he takes impressions of your teeth, which are sent to a dental lab where your veneers or Lumineers are custom-made to fit your teeth exactly. If you are getting traditional veneers, you will be fitted with a temporary veneer to protect your teeth while your permanent veneer is being made. At the second visit, Dr. Trizzino checks the fit your veneers or Lumineers and bonds the shell to your teeth. He checks your bite and makes adjustments, if necessary. Then he polishes the veneers until they shine like natural teeth.